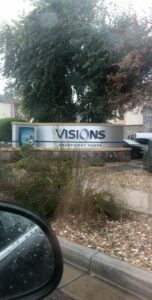 My first day at Visions Apartments started on January 8th. I started my day at the Phoenix regional office with training. After lunch I headed to Visions Apartment Homes which was located in Peoria. I spent the rest of the day shadowing on of the leasing staff.